Every day we are met with all kinds of surprises and unexpected events. Many of them are minor in importance, but occasionally there are major events that have the ability to shake our lives to the core. Typically these types of major events can affect our finances or the financial future of our spouses or children, especially in the event of a death. Taking the possibility of a major financial crisis into consideration, a Will can be a very beneficial document for anyone regardless of age, wealth or marital status. A Will is a legal document that allows you to share how you want your wealth and possessions designated in the event of your death. A great complimentary piece to your Will that you should consider is The Final Wishes Guide. 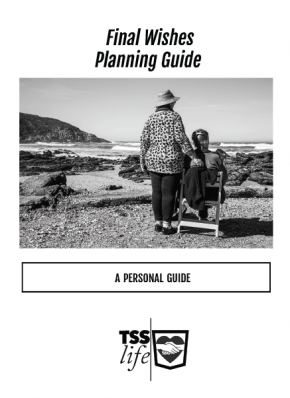 This guide allows you to notify your loved ones to certain desires you wish to have carried out after your death, such as, what type of funeral you would like to have, who is to be notified of your death, and the location of your all-important legal documents, where life insurance policies are located etc. The Final Wishes Guide is a beneficial tool for anyone, from the procrastinator to the most careful of planners. Give your family the gift of not having to worry that they are not properly carrying out your final wishes by completing your Final Wishes Guide today. If you have a prepaid funeral, this guide can ensure that your family knows what you already have in place. 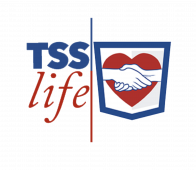 a list of your life insurance policies, including the name, address and telephone number of the insurance company (and of your insurance agent), and the policy number. This guide provides you with a page to list financial documents, such as investments that you have in place. We have a provided a place for you to insert the name's, addresses, and phone numbers of family and friends that you want to notify of your death.